Home Posts Tagged "Voter ID"
Primary day is fast approaching! That’s right – the June 5th primary election is a few weeks away. There are competitive races up and down the ballot, including for your seat in Congress. This Congressional race is crucially important. We want to make sure the Democratic nominee is a champion on our issues: clean water, living wages, climate justice, and protecting the immigrant community. That’s why the CCI Action board developed a questionnaire that we circulated to all the Democratic candidates. We gave the various campaigns a fair amount of time to respond, and now we have compiled the responses from your district into one handy chart. Secretary of State, Paul Pate and Iowa Republicans are set out to make voting harder for everyday Iowans. 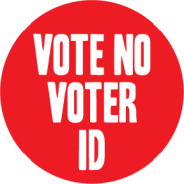 Here's why "Voter ID" is a bad idea. CCI and community members grill Secretary of State Matt Schultz on voter ID and the recently enacted voter purge rule. At the Capitol last week there were two bills, one making it harder for folks to vote and the other that would open our electoral system to more people. 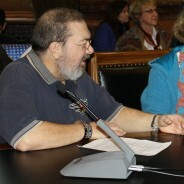 CCI members are fighting to break down barriers for all eligible Iowans to vote.